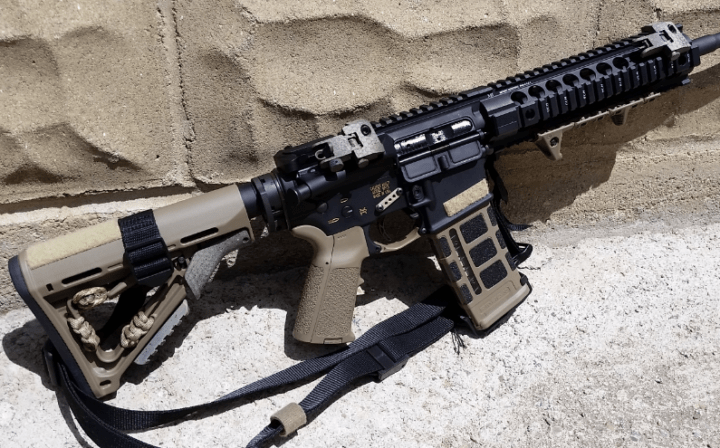 The AR-15 is a classic example of a modular parts rifle that fits a basic production profile even if it has been equipped with exterior glitz and glamour. 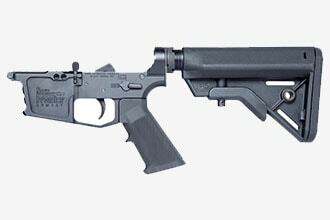 This rifle was designed specifically for the American Military to be a dead-on simple design with only two basic large parts. Those parts are the upper receiver containing the barrel and bolt chamber assembly (charging handle, etc.) and the lower receiver that is the actual serial numbered firearm. The lower receiver is the core of this review. It contains the buttstock, operational controls, trigger assembly, and magazine well. Pin all this together with two simple forward and rear receiver pins and you're ready to take on the bad guys in spades or something like that. 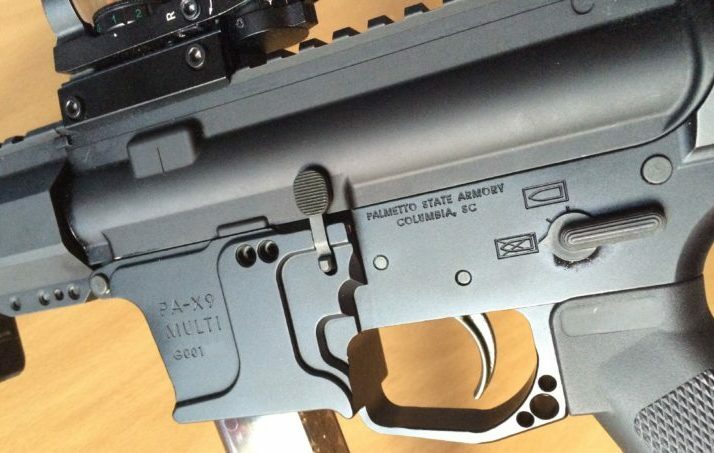 First up on my list of possible additions to a shooter's arsenal of home built rifles is the AR-15 stripped lower receiver unit by Spikes Tactical. 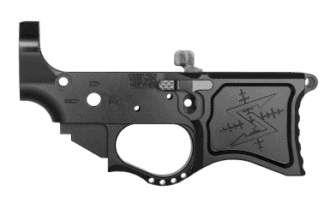 In this case, I have selected the Spikes Rare Breed Stripped Crusader lower receiver. Right now, the Crusader is on back order. All that means is it is selling well and is a real score in terms of operational advancement among dedicated AR-15 shooters. This is a high grade lower receiver unit. The receiver retains bullet pictogram selector markings, 7075-T6 aluminum billet lower receiver. 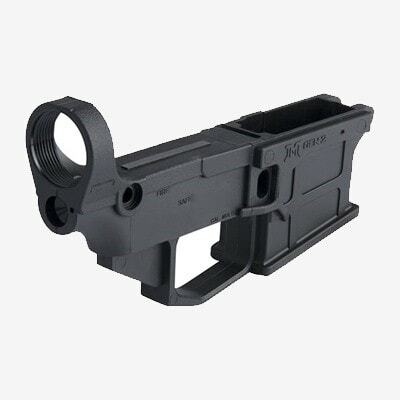 This lower receiver is designed as multi-caliber and is low shelf RDIAS compatible. Be advised this receiver and all others require sales to be conducted through a Federal FFL holder. In effect, this is the “Gun”. Everything else is an add on element to the complete firearm. Be sure you understand exactly what you're buying when taking on a high dollar production AR-15 receiver. Remember, that receiver also needs many additional parts. In my opinion, when you're talking about AR-15 lower receivers and the term “machined” comes up, you better pay attention. You will see receivers formed by stamping sheet metal parts like the famed AK-47. You will see molded parts formed from high impact materials like plastic. And, you will see milled parts made from very high-grade steel or various types of aluminum. The latter group catches my attention every time. Why? Because the word quality comes into the picture very quickly. In this area, we have the Seekins SP223 Gen 2 Billet Lower Logo. This lower is dead-on precision and CNC machined from solid billet aluminum. This .223 billet built lower will exceed all mil-spec requirements and is among one of the best in the business. Seekins makes use of an advanced bolt catch of their own design, a receiver tensioning screw, ambi-bolt stop assembly, and an oversized trigger guard. 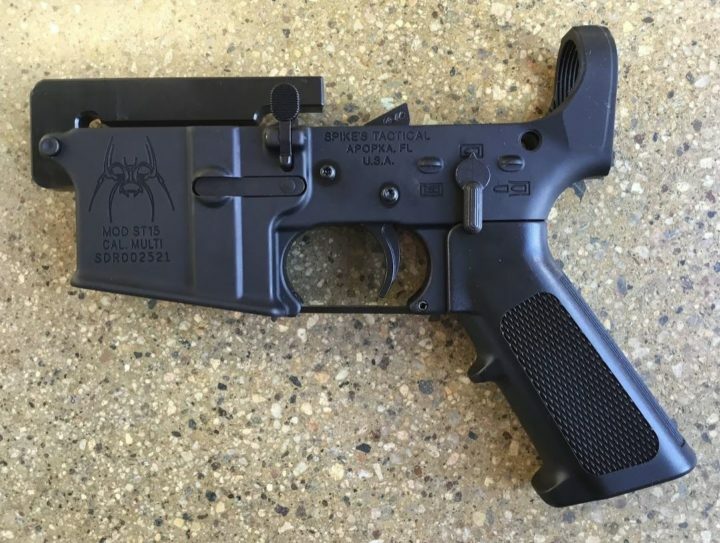 This is a true custom lower receiver as applied to the AR-15 rifle. 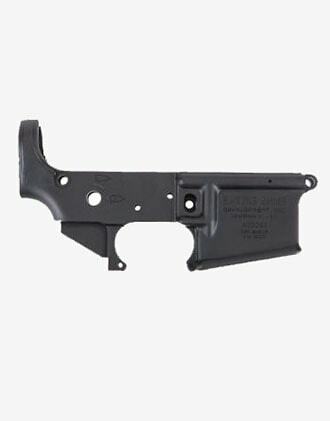 This lower receiver is a turnaround from the completed drop-in lowers other companies are building. This lower is not completed as a stripped housing unit. It requires some final fitting and millwork prior to completion. This is a project type lower receiver assembly. 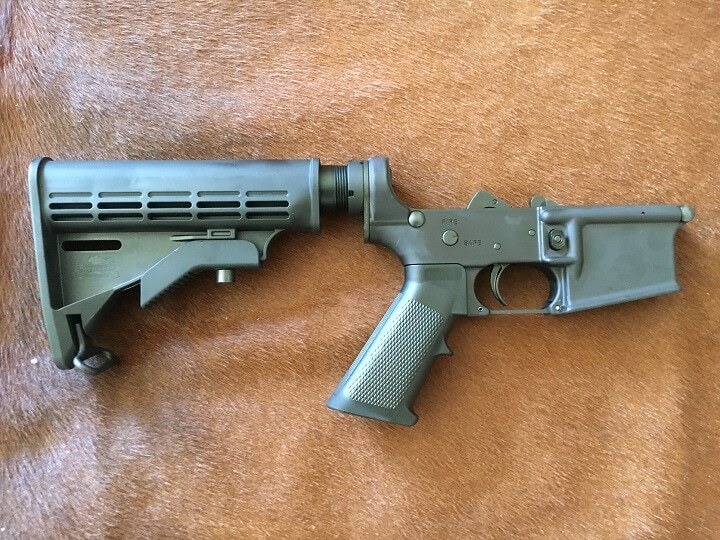 If putting a rifle together from parts is not something you enjoy, then this is not exactly your best choice. 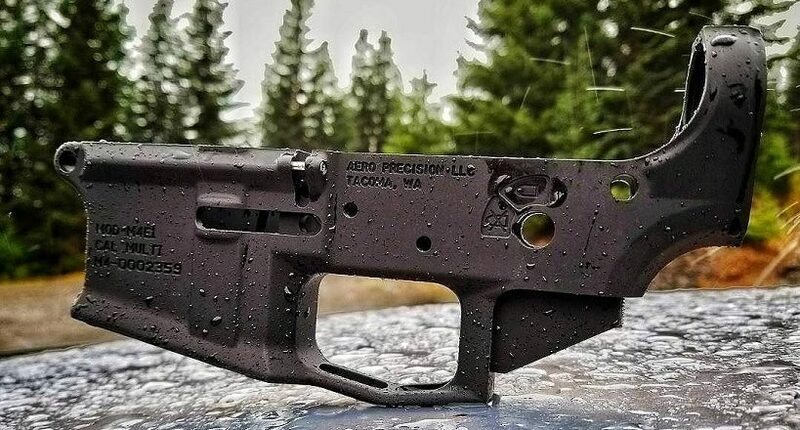 As built, this lower receiver will not require an FFL clearance. Features on this lower include a reinforced housing. The pre-machined areas such as threads for buffer systems, bolt release cavity, and rear pivot pin holes are designed to accommodate standard aftermarket AR parts. 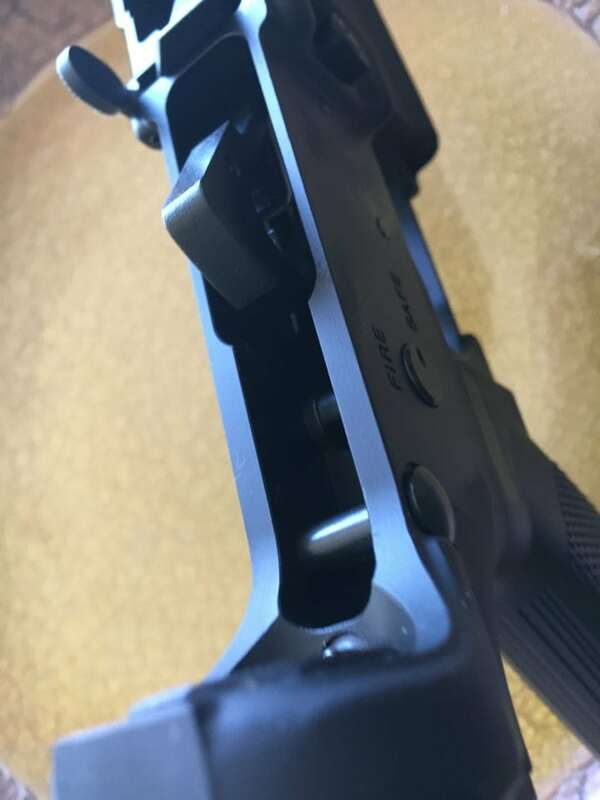 The trigger guard is an integral part of the lower housing assembly. Be advised this lower cannot be returned if it has undergone any modifications. Even very small changes in the finished product will cause this lower to be rejected for return by the manufacturer. The rule here seems to think before you cut. 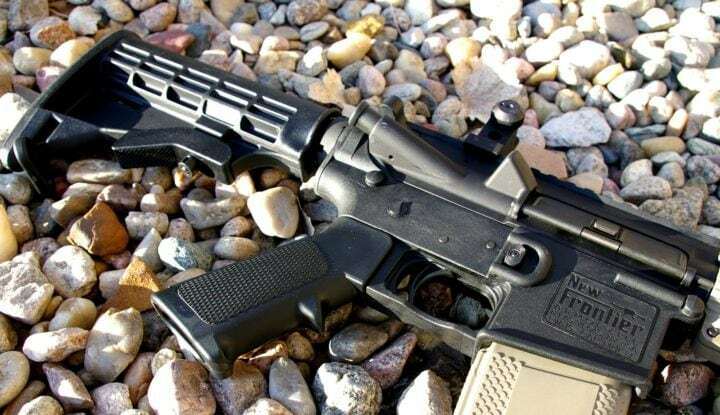 For the shooter that wants to get into his or her rifle and build it from the bottom up and install every part, the previous lowers fill that need. However, some of us, myself included, want an AR-15 fast. Waiting around for parts or getting on a gunsmith's schedule can be a bit hard. The solution here is to buy a complete lower. Anderson lowers are range ready right out of the box. 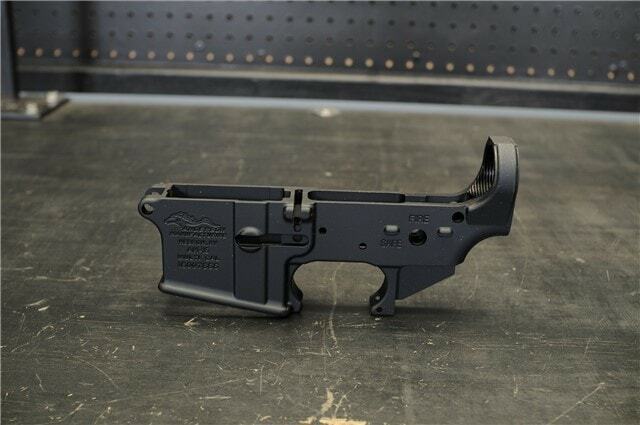 Enter the Anderson Manufacturing company and their AR-15 complete lower. 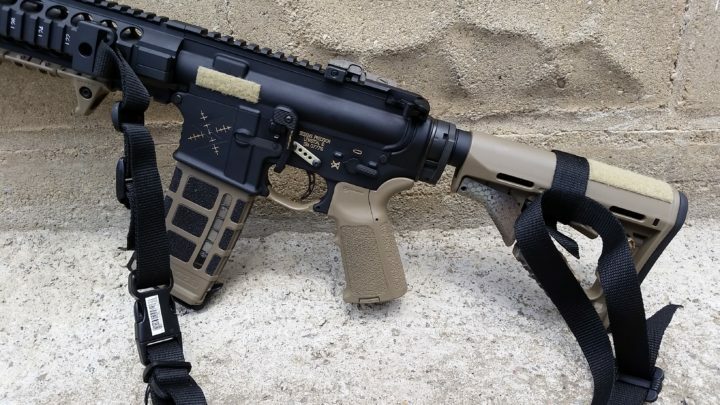 The Anderson Manufacturing AR-15 lower is complete with an AR-15 six position overmolded M-4 style buttstock equipped with the spring buffer assembly (Hogue). The receiver's finish is ghost anodized black. The internal parts within the lower are standard to the AR-15. 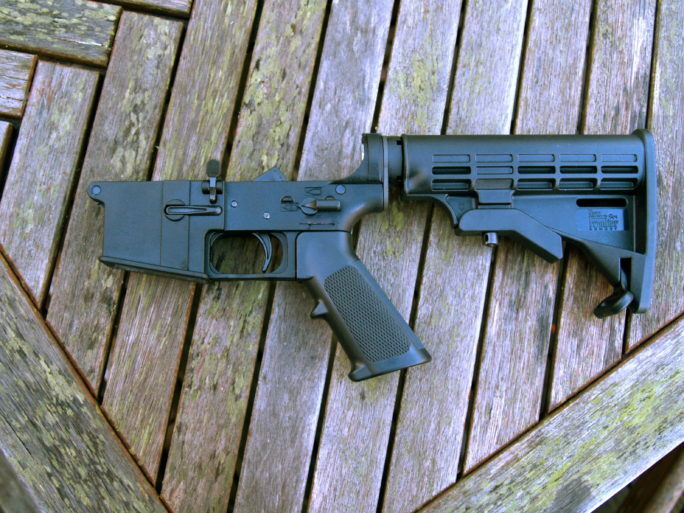 The grip is an AR-15 M-16 rubber grip beavertail with finger grooves. It is black in color and built by Hogue. May I say a word to the wise at this juncture. There is a pile of AR-15 parts and brand names floating around out in the gun world. Be advised that there are far fewer companies actually building these components. In other words, a few companies are being marketed under a wide range of over the counter brand names. Now the very good news for buyers is that the market is flooded with AR-15's. Because of this, parts are a dime on a dollar in some cases. You can shop hard and build or just put together an upper and lower for about a third of retail, and in some cases even less. 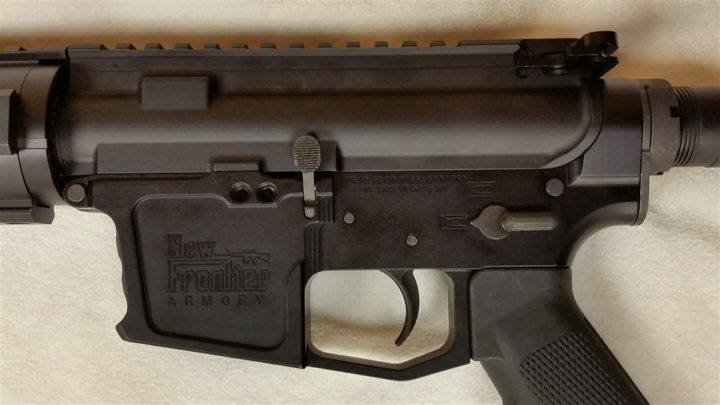 As another option in an all polymer lower receiver is the complete AR lower offered by New Frontier. This complete lower receiver is ready to drop in with two pins and add the magazine. This lower is very lightweight because it is not made of metal. The total weight of this lower is 1.6 lbs. This is a very lightweight lower that will make a difference in carry weight when assembled with a current standard weight upper and optics. New Frontier states that this lower is the lightest weight yet most durable lower offered to shooters on the market today. Low maintenance, easy cleaning, and damage resistant are a few points that make a poly lower an interesting investment. 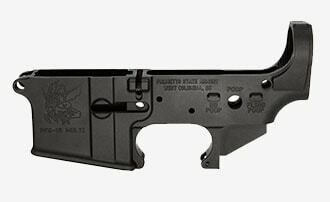 This lower will accept any and mil-spec or standard upper AR-15 receiver/barrel system. 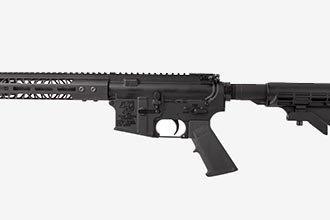 The lower features the “accu-group” composite fire control system. This lower also makes use of the reversible safety system for left- or right-hand shooters. 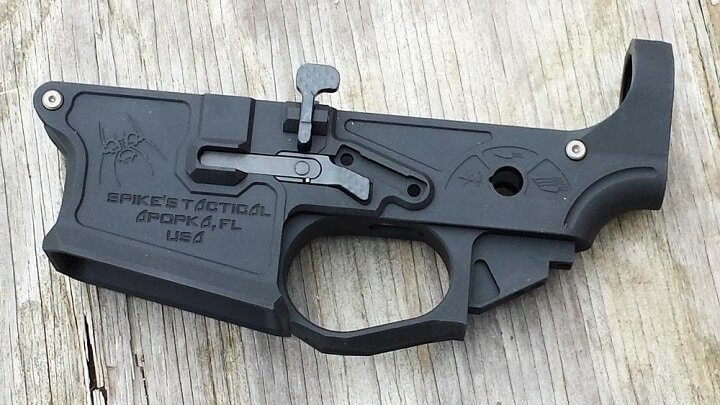 This lower receiver made by Battle Arms Development/Rainer Arms is another aftermarket option. 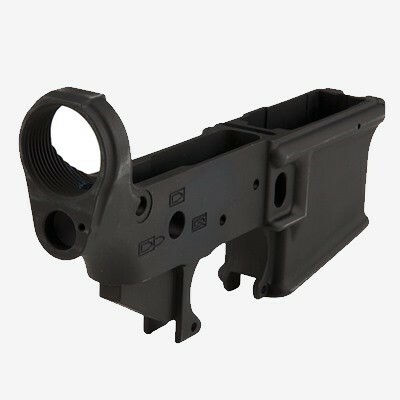 It features a mil-spec dimension based lower (gutted) that makes use of 7075 T6 Aluminum (an industry standard), mil-spec hard anodizing on all surface, and high-quality test forgings. The lower receiver housing makes use of an ID-3D laser engraved roll mark using the Battle Arms logo. All pinholes on the lower are reamed rather than drilled. It uses helical rear receiver extension threads that are not drilled and tapped. 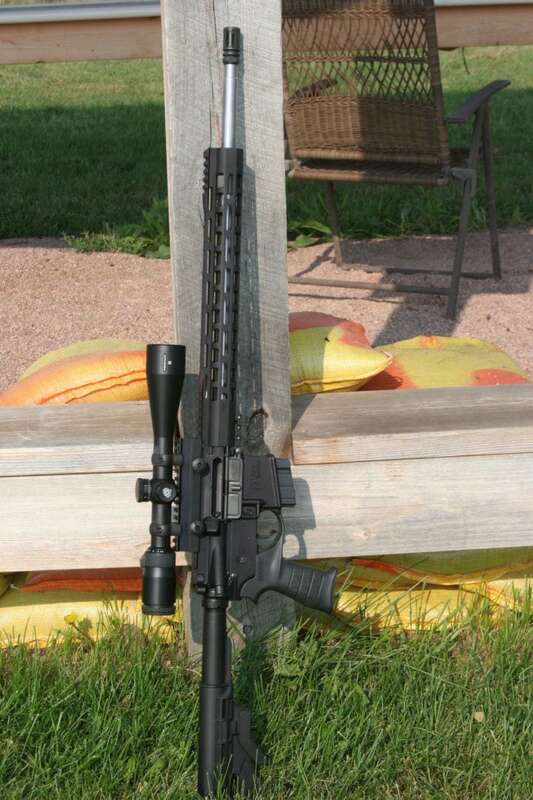 As an expert marksman, I advise you to never question the accuracy of a custom or home built rifle. 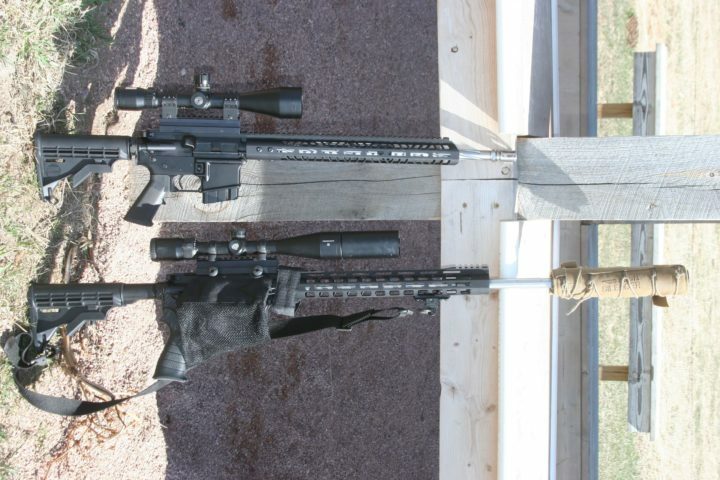 Using a Bear Creek upper and a Stag Arms lower, I have assembled a rifle that has spot-on accuracy. The housing makes use of an EDM wire cut flared mag well and selector stops have been removed. The lower also uses a 45-degree safety selector. This lower is not offered with any installed parts beyond the housing itself. 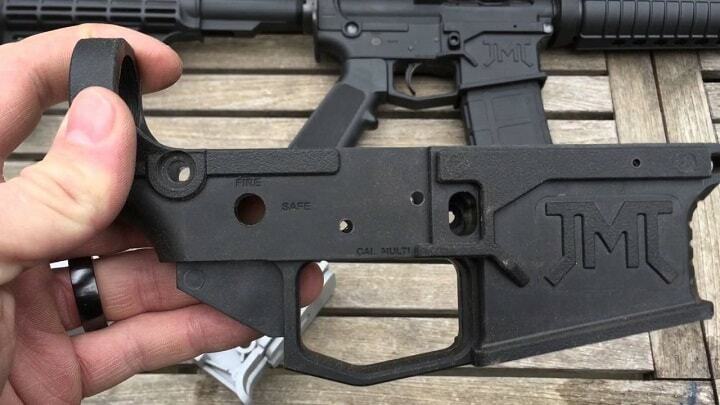 Don't mistake this for a complete lower as found in some other marketed AR-15 lower receivers. 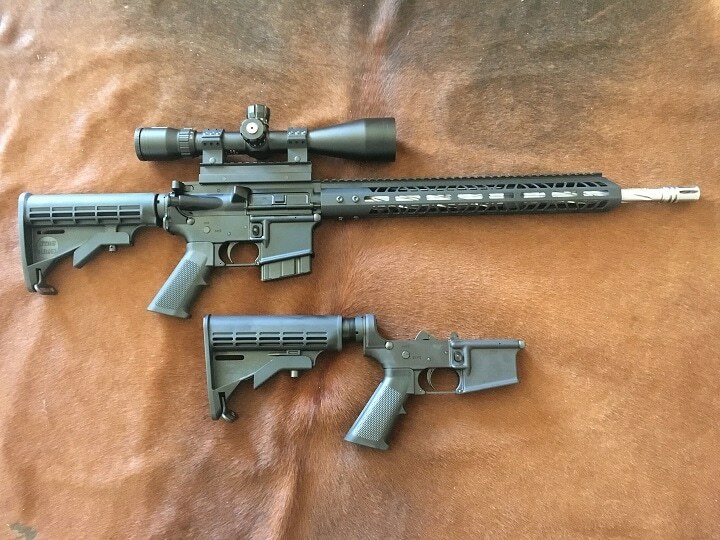 Along the way, I have mentioned my AR-15 builds that are in effect not builds at all, but simple assemblies for the most part. I will recommend three companies that I have been using in terms of buying uppers and lowers. Because of the fast-changing industry involving several different new cartridges, it is necessary to have a new build on deck in most instances. That means get parts fast and save valuable time in the process. 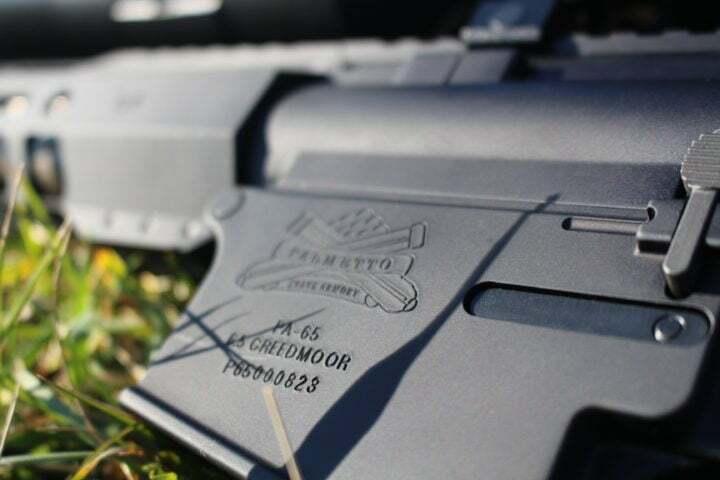 Palmetto State Armory offers all types of AR-15 parts including complete rifles and also lowers and uppers for installation at home. This company builds complete rifles on order and also makes runs of uppers and lowers. While I will not state brand names here, Palmetto builds a series of lowers and retains some of them for resale directly through their front office. Pricing on these units is great! I am currently building complete AR-15's in a varied number of chamberings for under $500 without sights by shopping hard and paying attention to pricing on overrun products from this company. 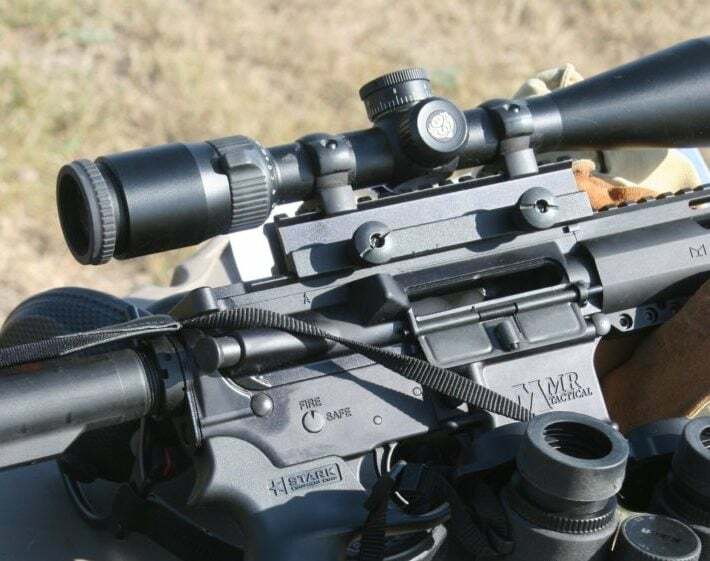 Using these builds for accuracy testing of new cartridge types with the AR-15, I have found the uppers to be very accurate when shooting good ammunition (Hornady ELD) inside ½ MOA at 100 yards. The lower assemblies are very functional. For my research and writing here at Ballistics Research & Development, I could not be more pleased. Nice work Palmetto. 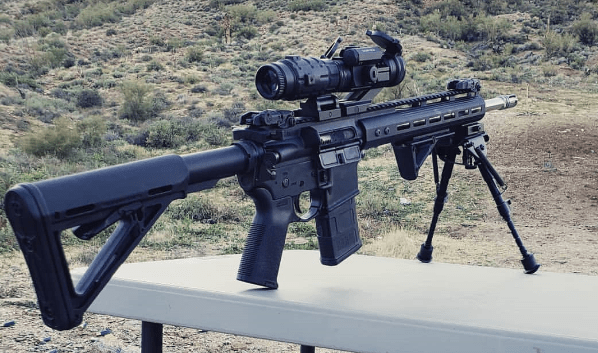 As a second company that also has produced great results in lower assemblies as well as package rifles in the AR-15 platform, I have selected Bear Creek Arsenal. I got wind of this outfit through Back Ridge Ammunition TN, an offshoot of GI's retiring from the U.S. Army and starting up their own ammunition production facility. 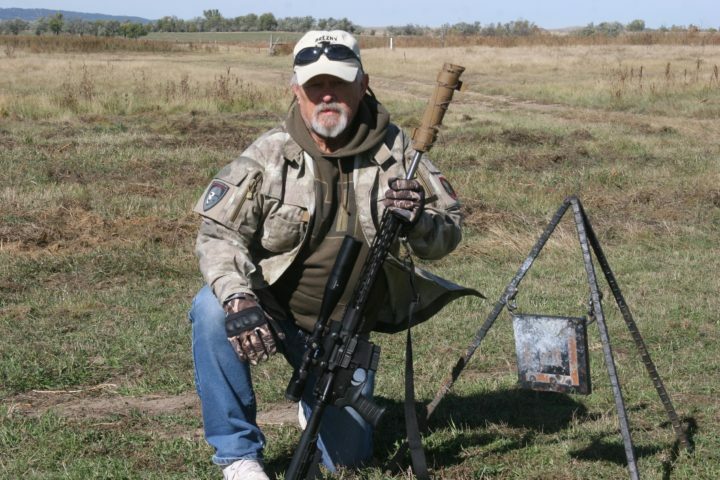 Some of these retired warfighters are using Bear Creek products for their own AR-15 builds. The new guns are mostly the very popular .224 Valkyrie. Bear Creek offers special pricing on some darn nice products. The same item would run at least twice the retail amount over the counter at a gun shop. The complete, fire ready assemblies I received from them are spot on. Like the previous company, just drop in the upper, add two receiver pins, and go shoot the weapon. Triggers are good. Tolerances are tight with a solid pin fit. All these features contribute to good accuracy out to 1,000 yards during several test events conducted here in western South Dakota. The price of Bear Creek Arsenal varies, so check the latest price at Brownells. Finally, I want to bring the company Stag Arms to your attention. 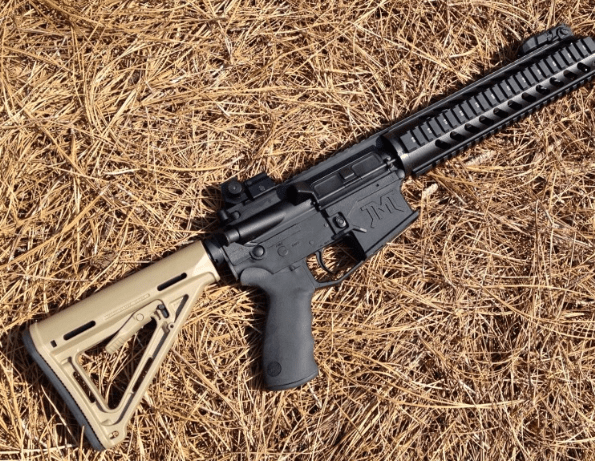 Stag Arms has been building very high-quality AR-15's as complete rifles for many years. I shoot one of them as a fast twist rate heavy target barrel system for heavy bullet testing at long range in the .223 Rem. 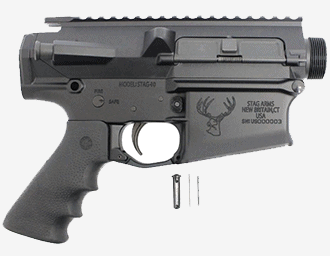 Stag offers lowers and additional parts for sale. I have found those that I have ordered (lowers) are right up to their standards in complete rifle quality. These are my current go-to guys across the board that meet my needs. Be advised, however, all needs in this shooting game can be very different. As such, I can't be everything to everyone out there. This is my assessment of varied products. Police, military, contractors, and competition shooters and others have their requirements about weapon systems. 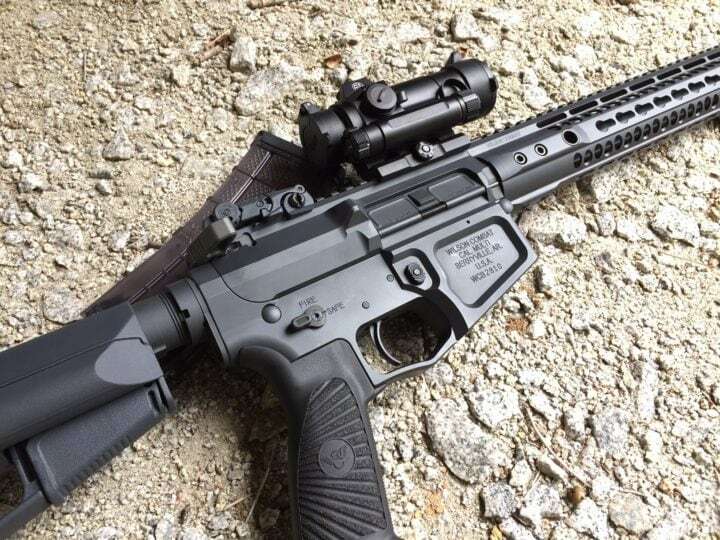 This review is a good start in your search for the right parts for your AR-15 build or reworking of an older rifle.